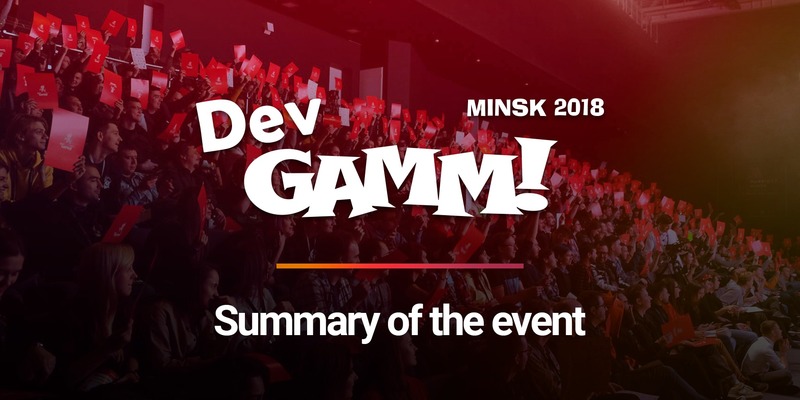 DevGAMM in Minsk is over! 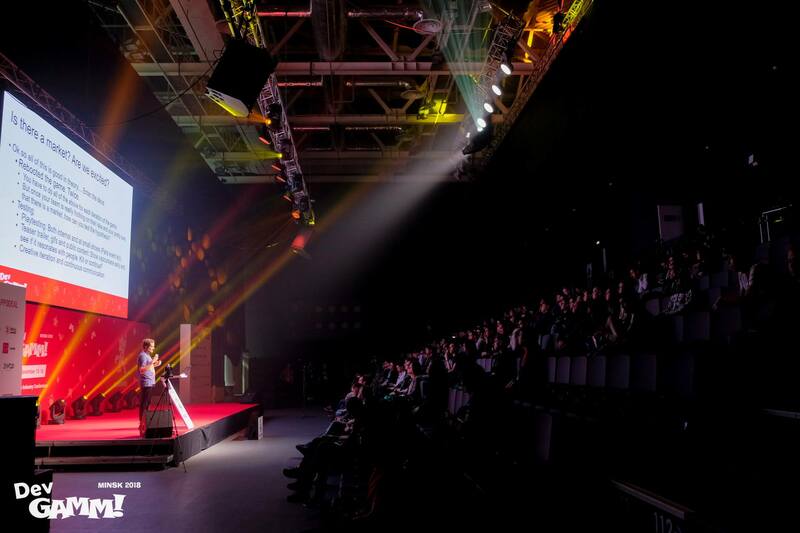 Over 1800 people from 33 countries attended the event. 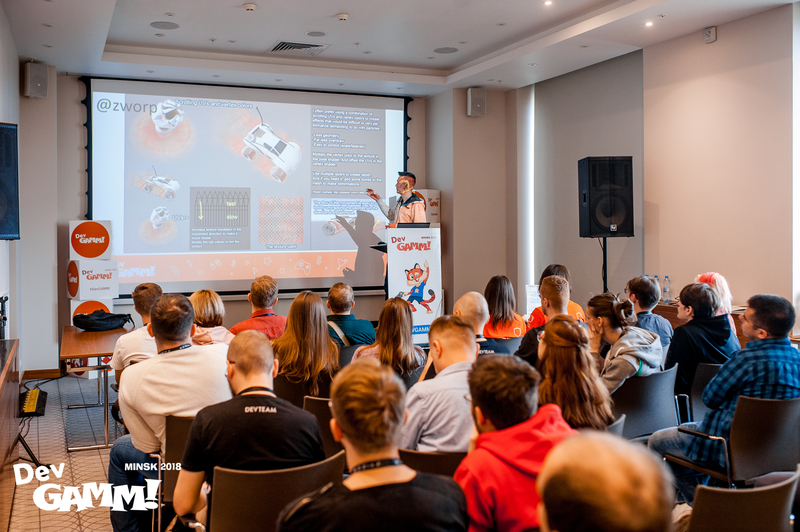 By a tradition, our event took place in Minsk Marriott Hotel and the adjacent Sports & Entertainment Complex Falcon Club. 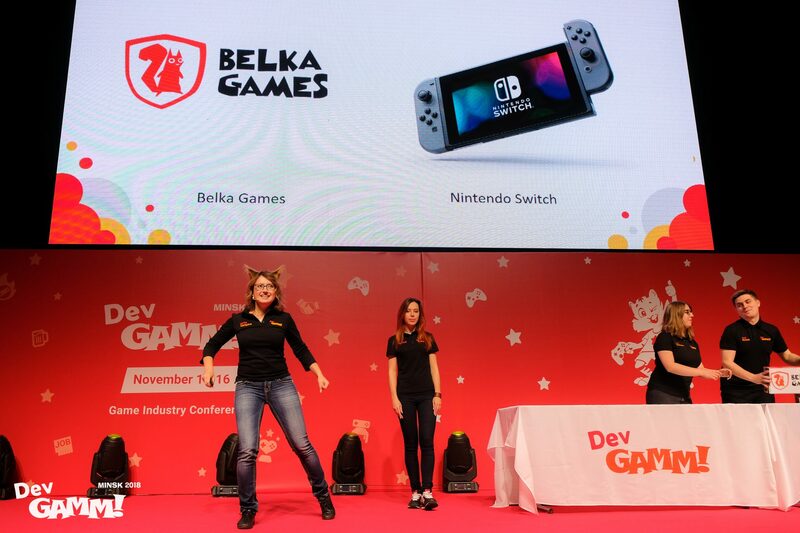 Let’s remind you the main moments from the conference. 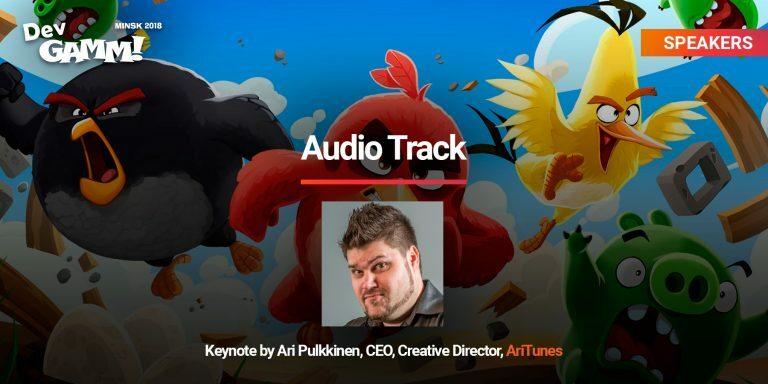 – apart from these, the attendees enjoyed tracks on art, audio, and technologies. 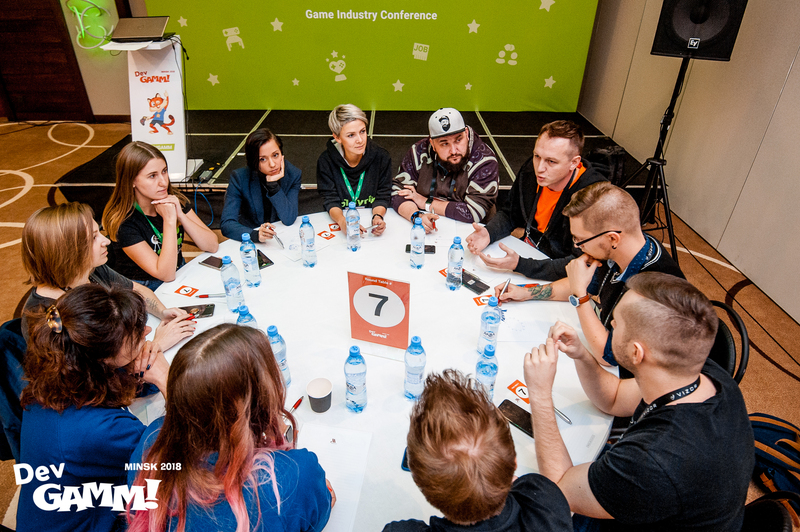 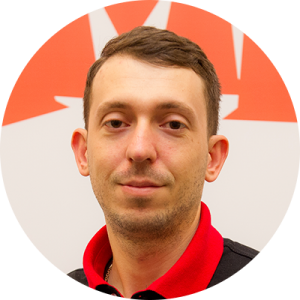 This time in Minsk we’ve presented a lot of new formats such as DevGAMM Roundtables which is an open 10-people discussion dedicated to a specific topic, determined by the leader of the table. 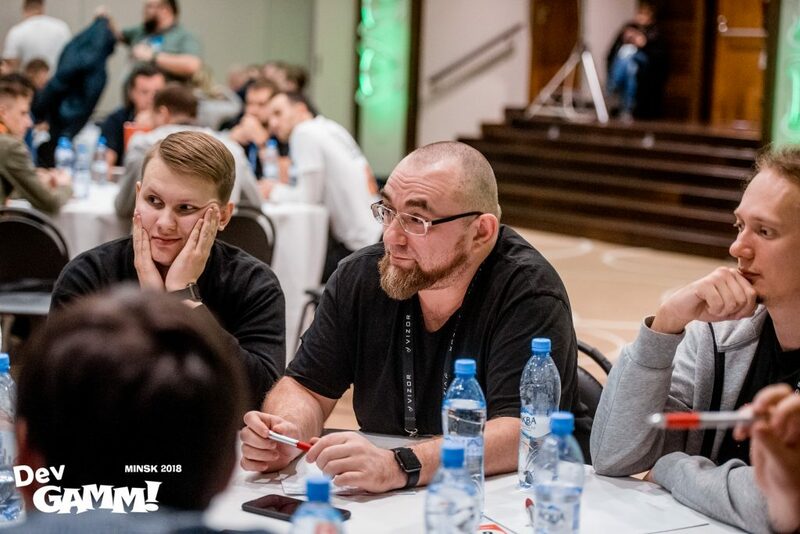 Over 80 people gathered to discuss the problems of company culture, headhunting, the relevance of hypercasual games, selection of game engine, analysis of a project for investment and other topics. 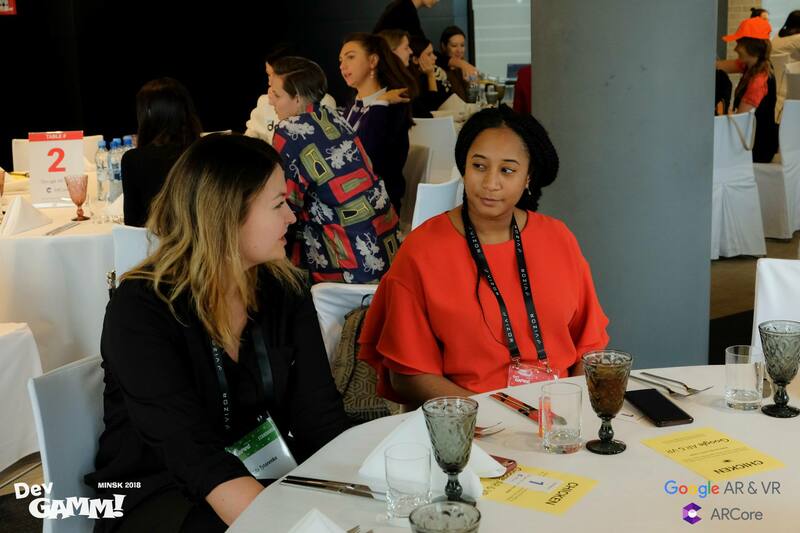 Another awesome format is Girls & Games Business Lunch that was sponsored by Google AR & VR. 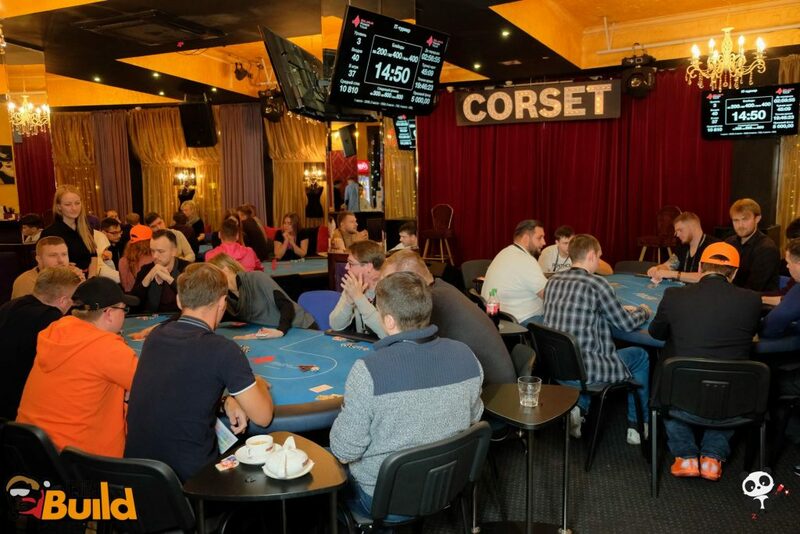 In total, 80 people took part in it. The leaders of each table discussed work-life balance problems, leadership, and shared motivational stories with each other. 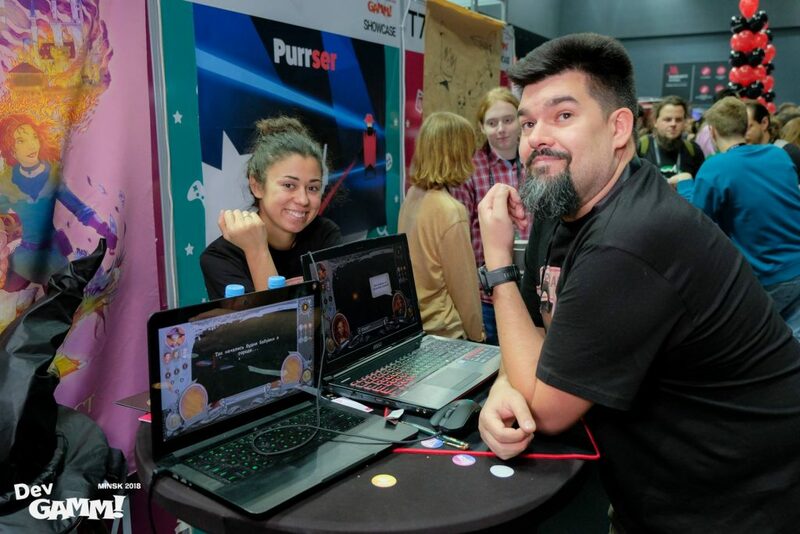 All the participants were excited about it, however, as much as we do. 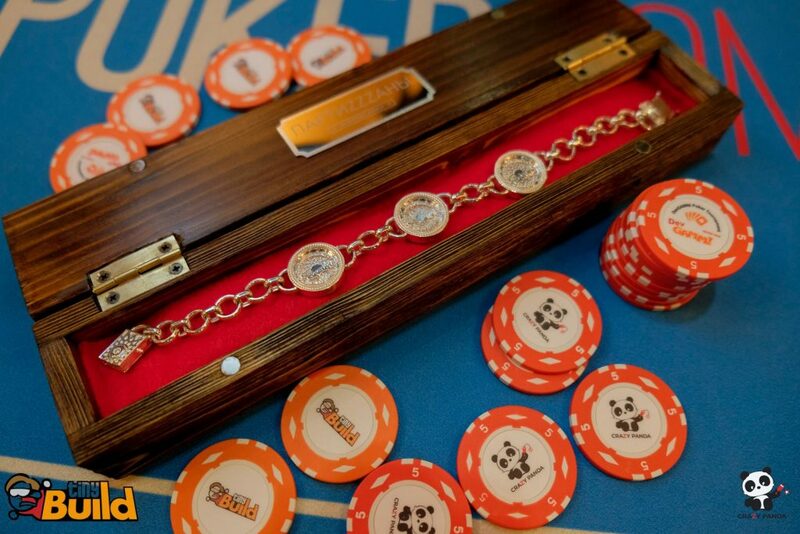 Game industry poker tournament was held within the conference Pre-Party and was sponsored by Crazy Panda and tinyBuild. 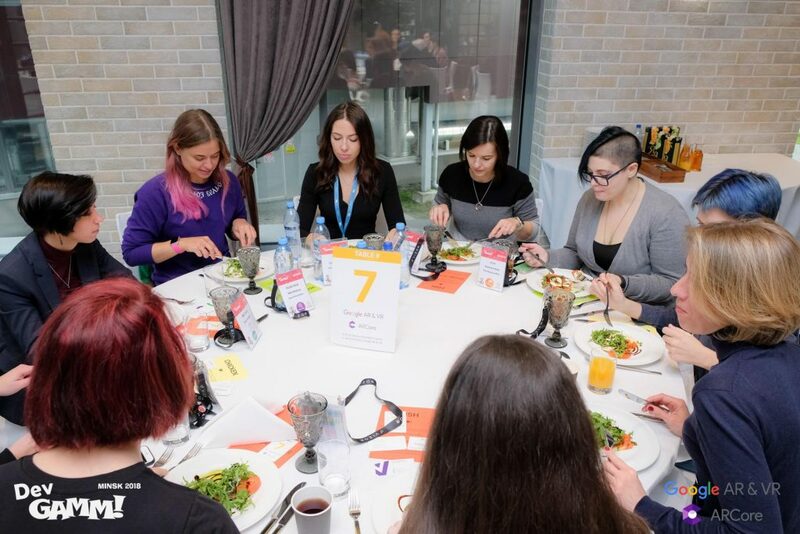 In total, 40 people took part in it. 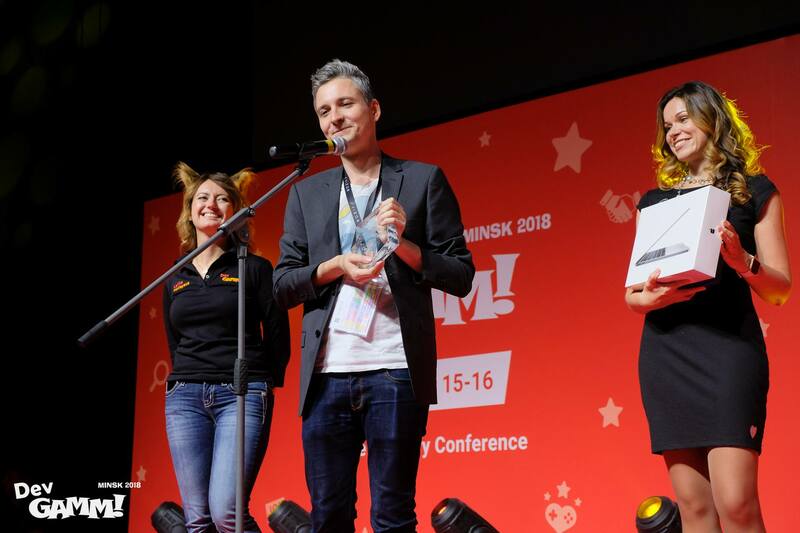 The winner, Oleg Kapitonov from Black Bears got $ 1 000 and an exclusive silver bracelet that was designed by Partizzzany advertising agency. 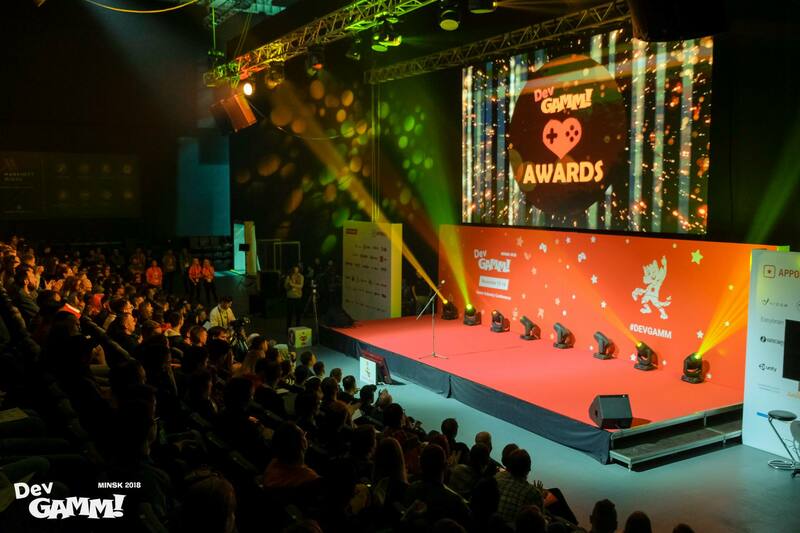 It’s now an annual event to take place in Minsk. 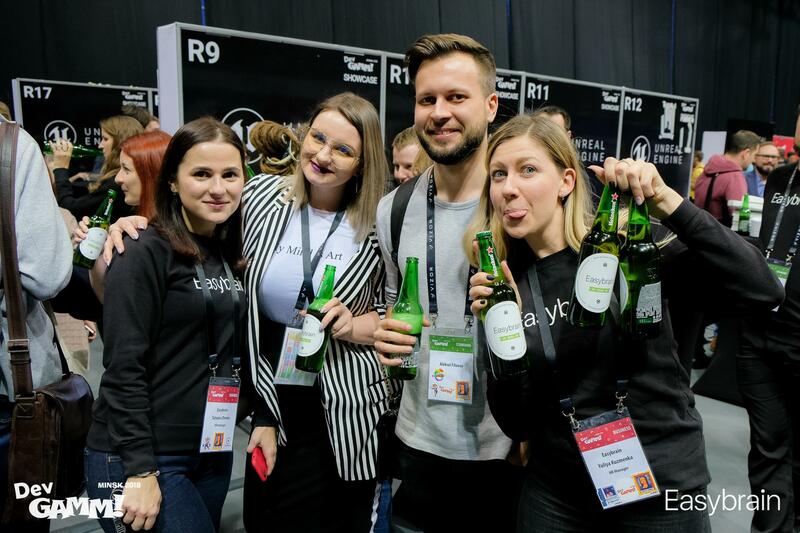 On November 14 we organized a сool Pre-party in Cotton Hall sponsored by Ogury where some of the attendees picked up their badges beforehand. 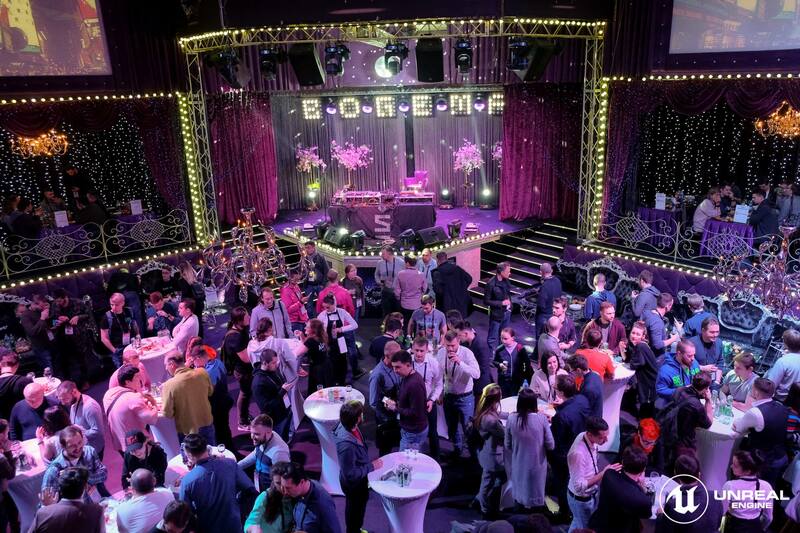 Also, our participants spent a great time at Official Business Party in Bogema, sponsored by Unreal Engine. For the first time, it was only for business participants. 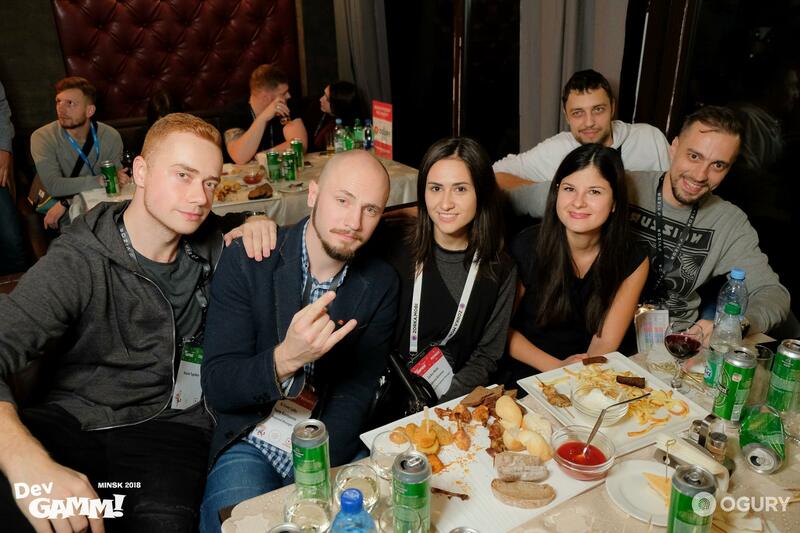 During the evening everyone enjoyed Belarusian folk band SHUMA. 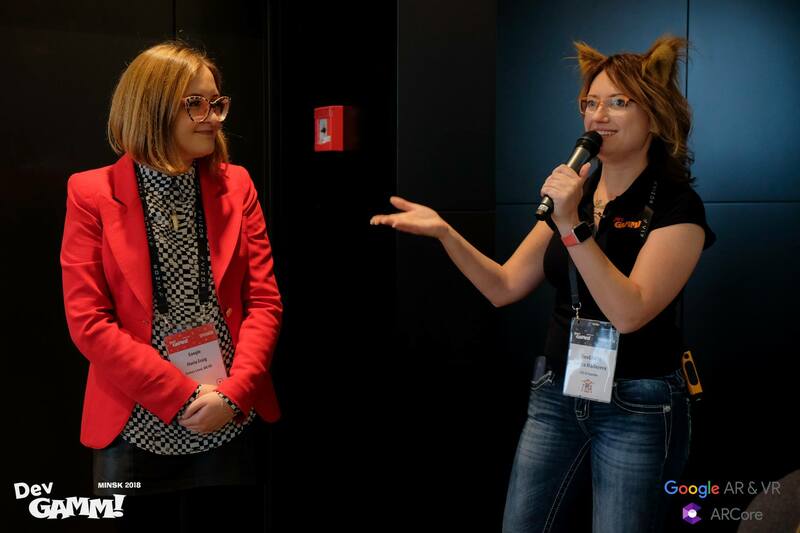 Right after the conference all participants joined Bye-bye Mingle by Easybrain where everyone shared their impressions and got warm hugs. Each conference we offer our attendees to take part in our traditional activities. 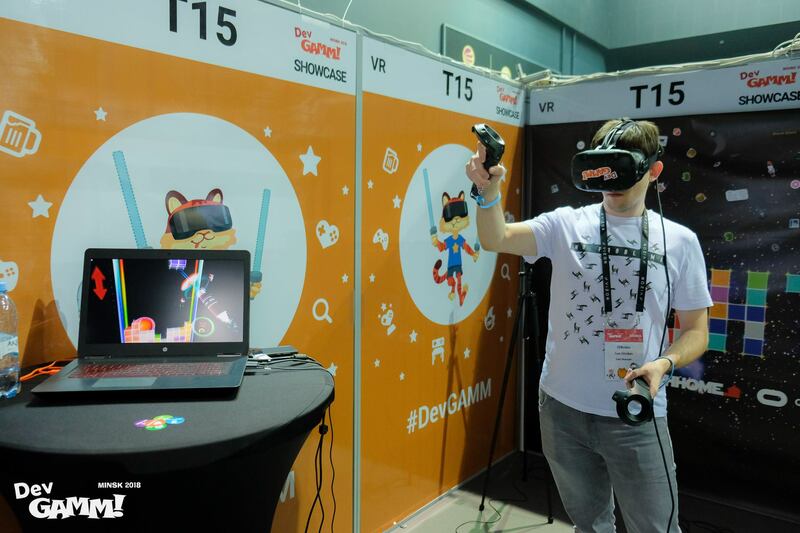 For instance, this time there were 93 games at DevGAMM Showcase: 50 desktop, 36 mobile, 1 gaming platform and 6 VR games. 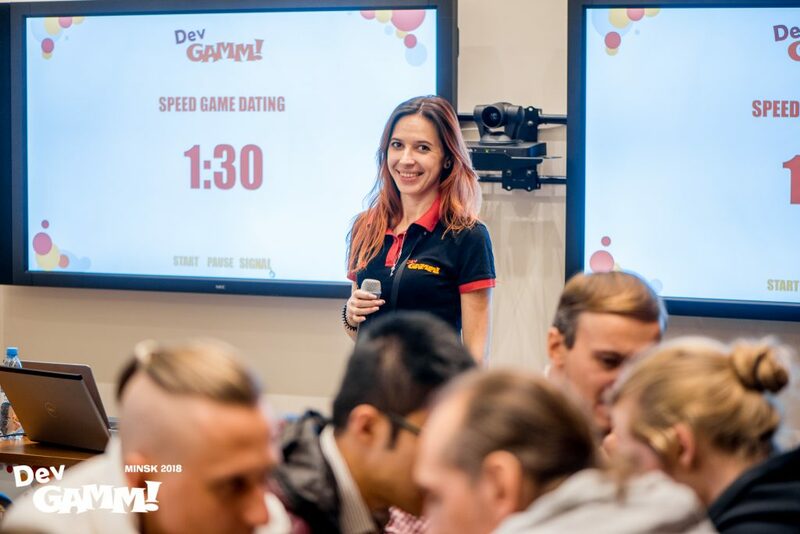 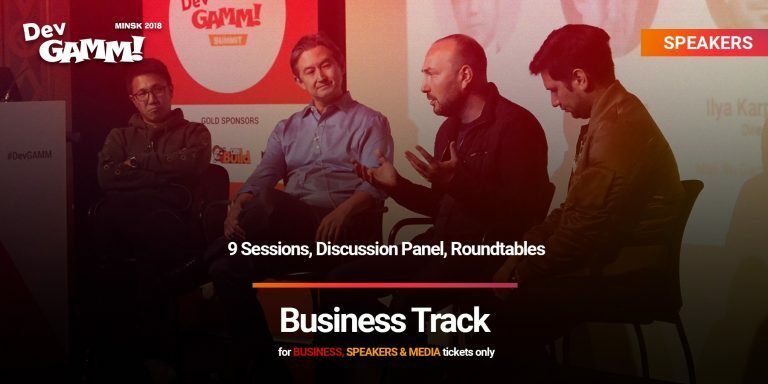 Such publishers as Wargaming Mobile, 101XP, DECA Games, tinyBuild, HeroCraft, Innova, Buka and a lot of others took part in 3-minute meetings at Speed Game Dating. 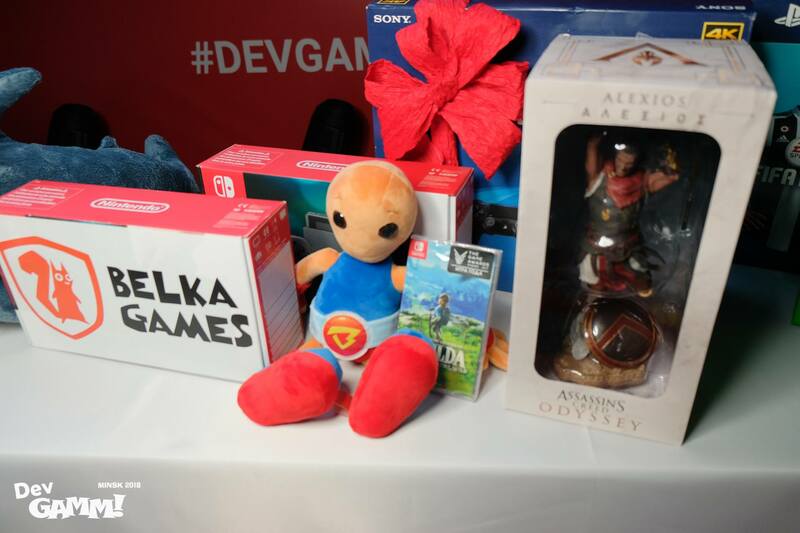 Apart from the gaming activities, everyone enjoyed a special conference adventure – DevGAMM Quest with 54 prizes. 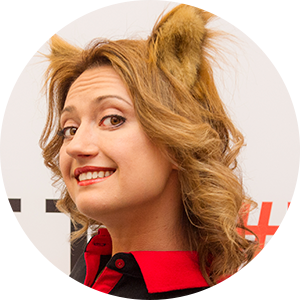 In total, 264 people took part in it. 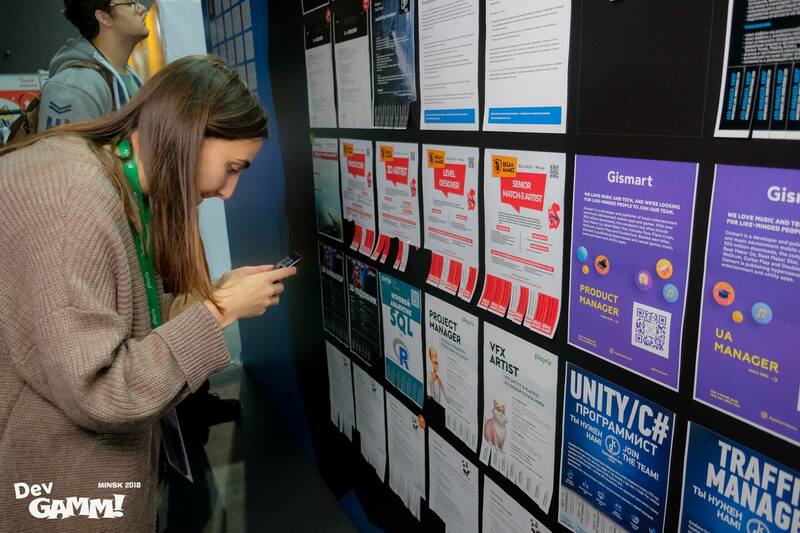 This time with the help of our HR Partner VALUES VALUE we made a huge Career Wall – 8 meters. 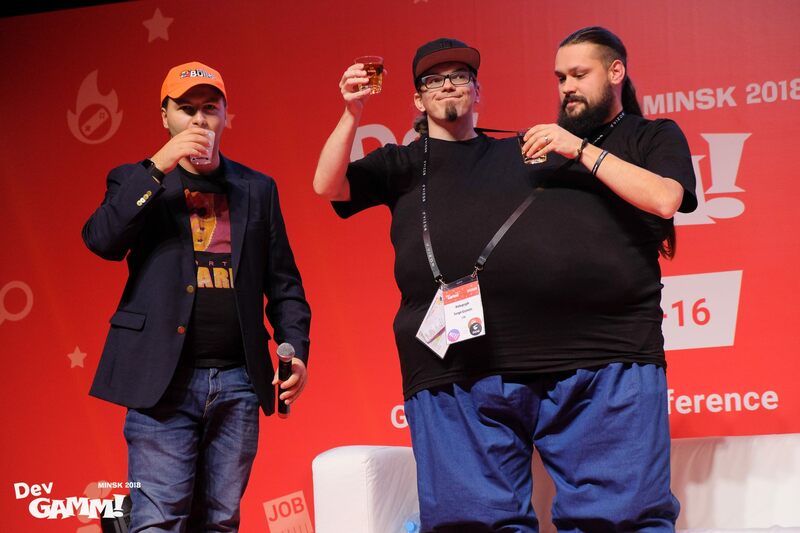 It was sponsored by Pixonic. The total amount of job offers was 175. 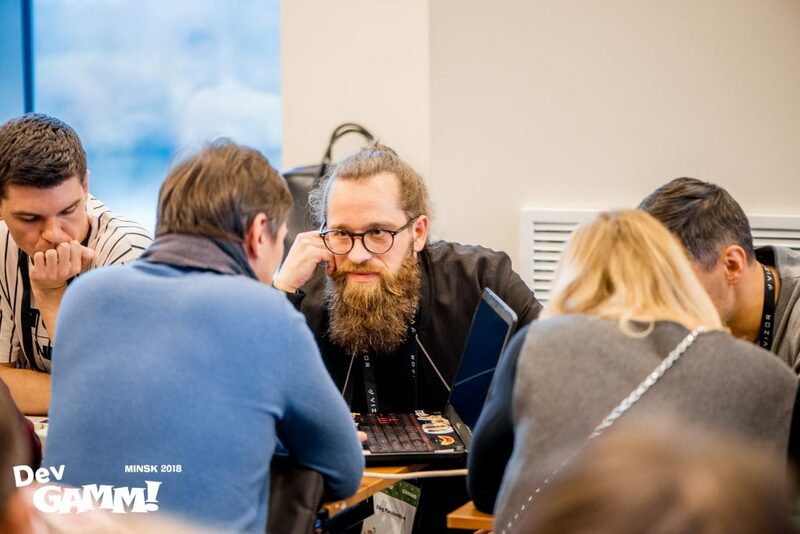 Moreover, in Minsk, everyone had a chance to try out our new matchmaking tool for effective networking – PINE. 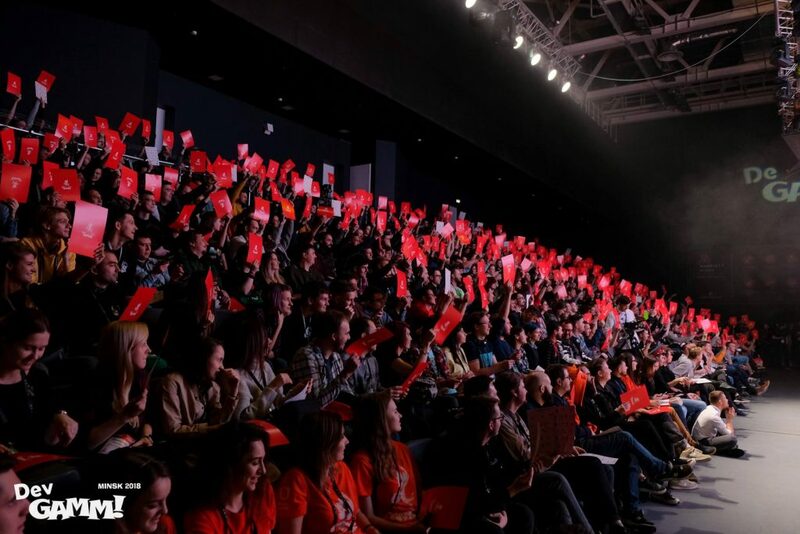 880 meetings were arranged during two conference days. 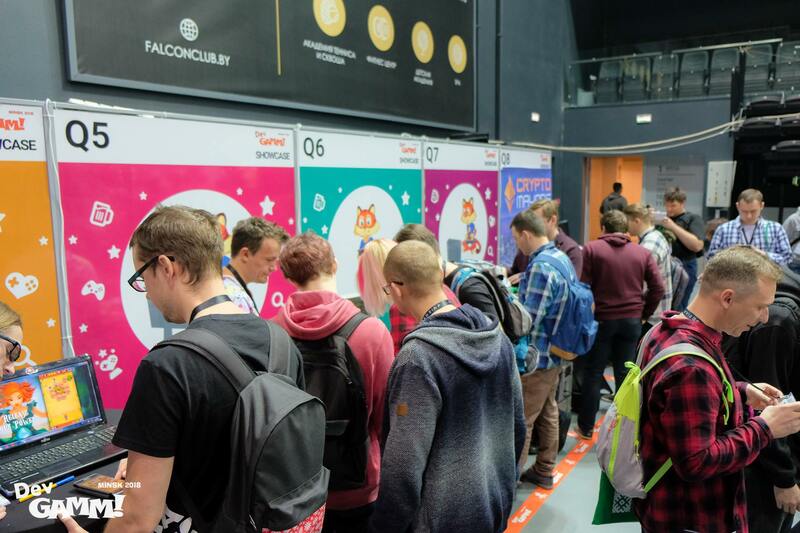 We’re really grateful to all our sponsors for creating lots of activities on the booths for our attendees. 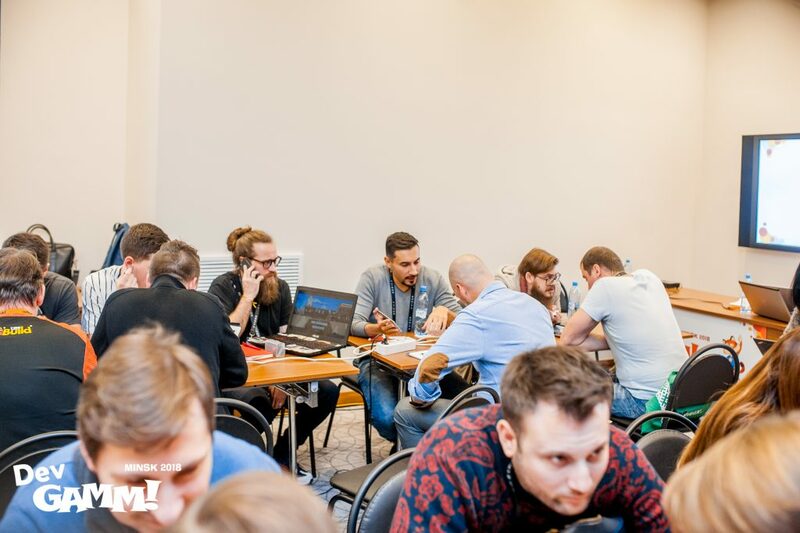 Thanks for the support to Appodeal, Vizor Interactive, Epic Games, Playrix, Belka Games, Easybrain, Ogury, Game Insight, Playkot, Xsolla, KamaGames Studio, Gismart, Awem Games, Paracosm, ZAVOD Games and other sponsors. 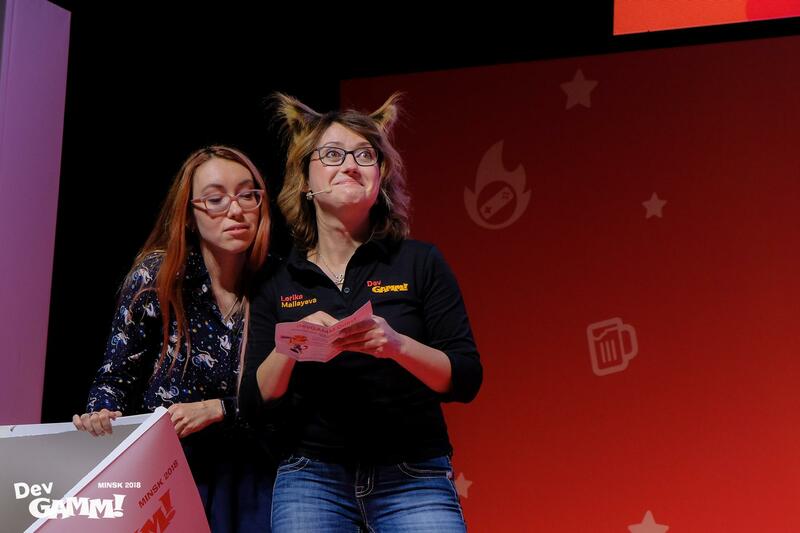 For the first time after the rebranding, we organized a crazy Game Roast. Five experts competently grilled raw games of our developers. 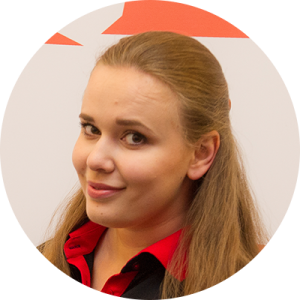 And believe it or not, the experts got a total victory! 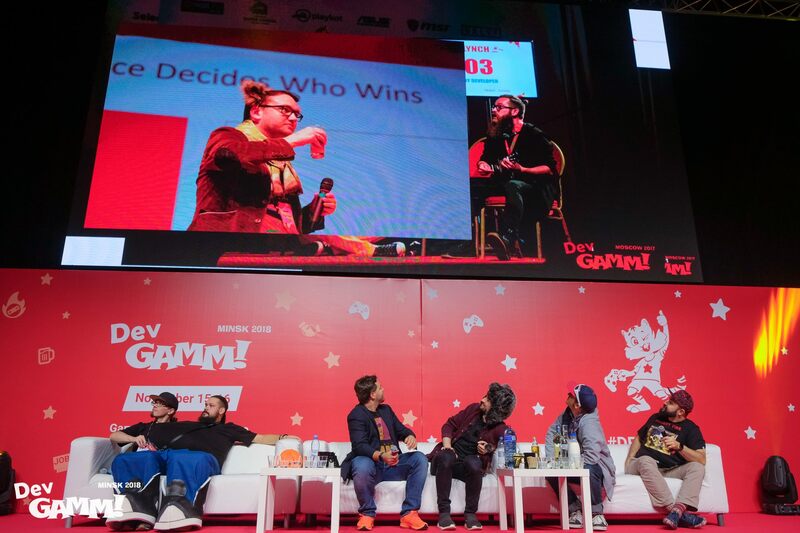 :) Nevertheless, the game Private Line from Sowoke Entertainment Bureau, got Game Roast Award as they were the closest to winning. 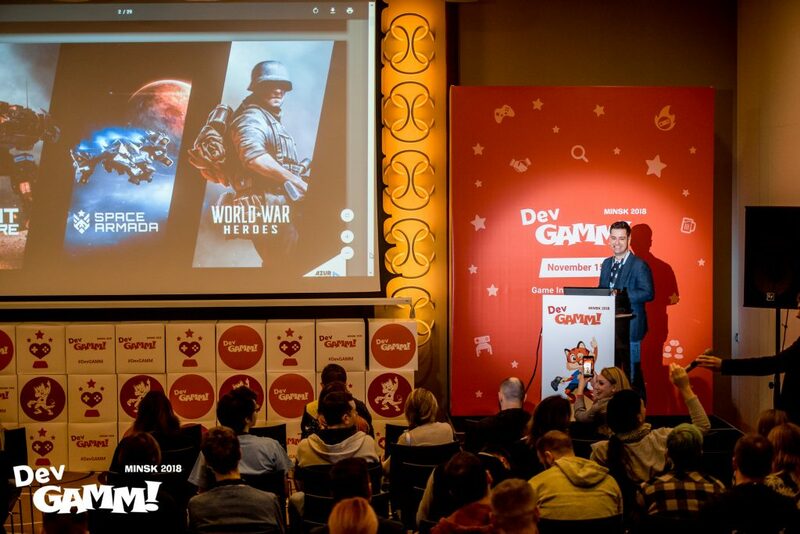 DevGAMM Awards in Minsk was just brilliant as we expected. 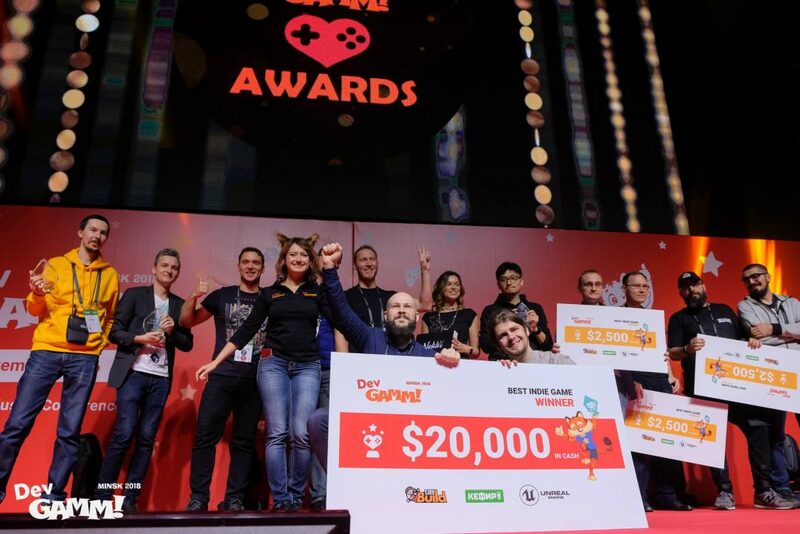 Indie-developers who submitted their projects for Best Indie Game competed for $ 30.000 prize fund which was sponsored by tinyBuild, Kefir and Unreal Engine. The awards ceremony was organized like a chat in Telegram 🙂 You will be able to watch it on our YouTube channel as soon as the video is live. Huge thanks to all the speakers, sponsors, moderators, advisers, volunteers, the press and all participants for being part of DevGAMM and such an awesome atmosphere. 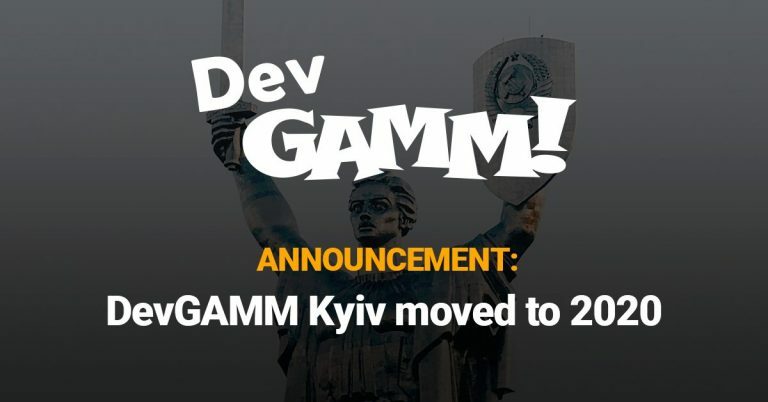 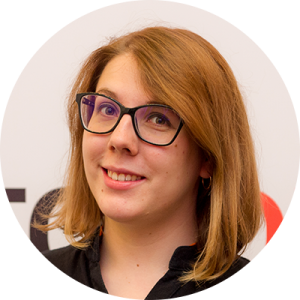 When is the next DevGAMM?